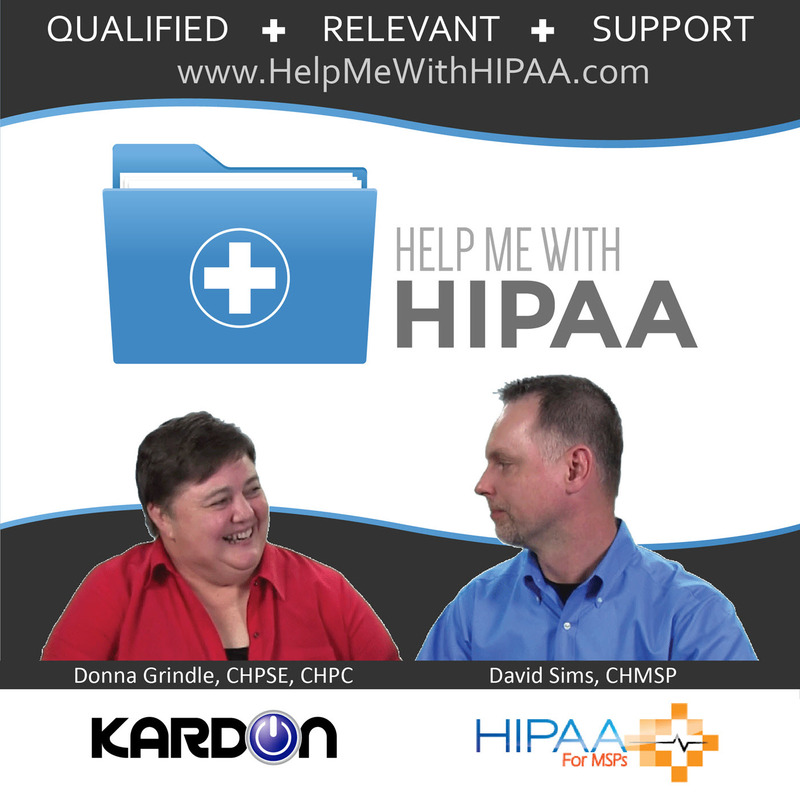 We talk a lot about all the tech and business aspects of HIPAA compliance but in this episode we get a chance to look at clinical staff HIPAA perspectives. Our guest today is Brittney Wilson, BSN, RN who is also known as the The Nerdy Nurse. She is an award-winning author, speaker, and blogger. Brittney has a large following on her blog and has a very active social media presence. The blog includes discussions on HIPAA and especially technology along with a variety of other topics relevant to nurses like products that fit. Her focus on technology for nurses made her a great guest for the show. [2:30] What is the Nerdy Nurse all about? Technology empowerment improves your life and the lives of the patients you serve. [4:56] You can purchase her book on Amazon right now 2014 AJN Award Recipient: The Nerdy Nurse’s Guide to Technology. [7:15] Oversharing on social media can be a big privacy problem especially for millennials. Training is very important to combat issues with privacy violations. Clinical staff HIPAA concepts differ from the rest of us because their’s focuses more on the privacy issues than most other parts of the healthcare machine. How you talk about your work outside your work is an often overlooked topic in training programs. You don’t just stop being a nurse or a doctor when you leave work. Telling your stories is important but there is a right way to do it and wrong way to do it. [12:00] HIPAA training often fails to connect privacy and security to the actual people doing their jobs. If I just explain the rules but don’t relate it directly to you it gets overlooked and forgotten quickly. Training needs to address real live situations and social media activity that has actually happened. Explain what you can do not just what you can’t do under HIPAA. If I don’t teach HIPAA in the context of doing your job, then it doesn’t apply to you and you don’t incorporate it in your life. Photographs can be an issue even if it doesn’t include a patient’s face. Sharing another person’s photo doesn’t clear you either – it can be tied to PHI the same way. [21:04] If there is no reason to use a specific element of PHI, like a patient’s name in a discussion, then it shouldn’t be used at all. But, that isn’t as easy as it sounds when you are doing it in real life. In healthcare things can happen every day that you have to deal with that can be newsworthy, humorous, emotional, and more. How do you process all those things without discussing it at some level. There just needs to be a conscious decision about what you say when you are processing these things. [26:37] What do nurses struggle with when it comes to privacy and security and how can we do a better job helping them out? HIPAA training is the same training every year and that ends up being a click through presentation. Just going through the same list of what HIPAA laws say and nothing relative to my job is not helpful. Story telling matters the most to allow people to relate it to their jobs. [30:56] HIPAA is not about compliance. It’s about patient care. Sometimes you need to take a step back from your day and realize that you are discussing real people who need you to provide care.